We've gone this direction because more and more web traffic is going mobile and being driven by the increased technologies in cell phone bandwidth (3G and 4G), as well as the increased adoption of smartphones, including the iPhone, Android-based phones and Blackberries. Optimizing a website for the smaller screen size while also taking into consideration the concept of a touch-based navigation of a website versus the original mouse-based navigation demands taking an entirely new approach to a website's mobile design. 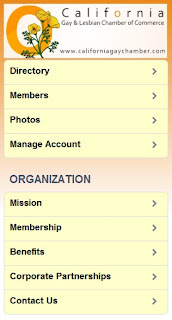 Bigger fonts and large, clickable screen areas merged with an aesthetic interface are the name of the game now. 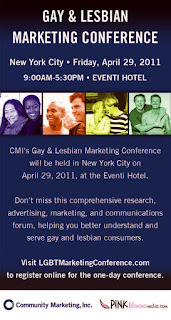 Community Marketing and Pink Banana Media’s 4th Annual Gay & Lesbian Marketing Conference will be held on April 29, 2011 at the Kimpton Eventi Hotel, New York City. Don’t miss this comprehensive research, advertising, marketing, and communications forum, helping you better understand and serve gay and lesbian consumers. Audience: Marketing, advertising and PR executives of all industries who want to successfully reach gay and lesbian communities, and initiate or update effective strategies. Perfect for newbies and veterans alike! Dedicated: Conference attendance is limited, in order to facilitate the best learning and networking environment. 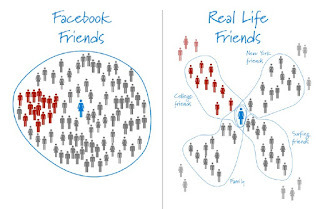 A story made its way through the blog world and mainstream media world recently which is incredible in that it shows that a number of social media marketers worldwide are beginning to see the future phases of social media marketing and where this is all going in the next five years. The articles and blog postings themselves were about Paul Adams and his presentation he did at Voices That Matter Web Design Conference in San Francisco in 2010 (http://www.slideshare.net/padday/the-real-life-social-network-v2). His presentation was exciting in that he put forth for the first time where social media is going, told from a perspective of where social media has been (with us since the dawn of civilization) to where it’s headed in terms of expanding past the current social media platform of Facebook and into a vast, new frontier, of which there is no doubt that Facebook will continue to play a lead role in.